Among the umbrella product category, you will find only the most unique and best outdoor umbrellas available for sale on Knife Import. Providing you with shade on hottest days and allowing you to carry them in style—these cool umbrella swords are made with high quality material, and in different designs, so that you can never leave our store without buying one for yourself; or perhaps someone among your friends and family members. 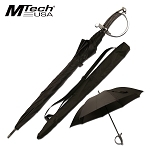 In case you are searching for cheap umbrellas, then you have got nothing to worry about, as we offer our best umbrella items at the lowest price you can imagine. So, don’t think about leaving or anything, and just buy wholesale umbrellas to look cool and remain cool in the hot weather outdoors. 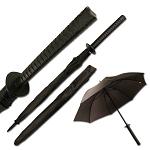 It’s easy to find the top selling umbrella with katana sword handle. That’s not all, as you have various other cool umbrellas to choose from Knife Import. To check out more new items in this category, or its related categories, keep visiting the website as much as possible. 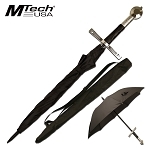 As we add new umbrella swords for sale in our long list of products, on a regular basis, such that everyone can purchase the best sun umbrella with cool sword handle for themselves sooner or later.